I had stood first in the Ludhiana District in 9, 10 and 11 grades; so people knew me. This college had a reputation of producing first class first students in the Panjab University. So people from other cities had come to learn. In the first year examination, I stood first in the Panjab University by obtaining record marks. At this point, the students who were in the next 4 or 5 positions quit the Panjab university and went to other universities! One fellow called Hari Kishan Sahajwani went to the newly-formed Haryana University and stood first in that university in years 2 and 3. I took Physics, Chemistry, Mathematics and English. I also took Honours in Mathematics. Won lots of books in the annual prize ceremonies. Of course, I stood first in the university in all the examinations and obtained University Medals. I was also given Pandit Hem Raj Medal for standing first in the Math. Honors examination. I taught lots of tuitions and saw lots of movies, typically Shammi Kapoor and Dev Anand. Once I saw leader (1964) with Dilip Kumar, I became his fan. I usually wrote very fast and finished the examinations way earlier than everybody else. A funny thing happened once. In one calculus examination I had to prove a theorem. It was an unseen problem and I somehow proved it. The fellow next to me copied. I realized later that I used circular reasoning and had merely assumed what I wanted to prove. I crossed out everything and re-did it correctly. The fellow complained to the teacher by saying that Surjit Singh got full marks for that problem whereas he got zero for the same solution. I showed him what I had done and he never spoke to me again! From the College Central Association Group photo, 1965. The Central Association was a nominated body made from the brightest students from academics, sports etc. Got admitted both in Physics and in Mathematics; decided to go for Physics, because the fate of theories rests on experiments, whereas Mathematics seemed like a mental game. There were two ways to come to the Physics department. One was my way, do a three-year degree course from an affiliated college and get a B.Sc. degree and come to M. Sc. The other was to join the Physics department after grade 11 and join the Physics Honours Program. So in my M. Sc. First year class, there were people who have been in the Physics department since 1963. I stayed in hostel (Bhatanagar Hall), first time away from home. Quickly made some good friends, the closest was Dr. Avinash Julka, then an Economics student. In Physics, we had many US-returned teachers who taught from books used in US universities. I somehow became fascinated with science in Hindi and even learnt all the technical terms in Hindi from a Dictionary published by the Govt. of India. The Classical Mechanics teacher (S. K. Tuli) taught from Goldstein and I took notes in Hindi! I wish I could find my old note-book. Vice Chancellor was a Haryana Jat and his son, Vimal Kumar Chaudhary, a very bright fellow, was my classmate. People laid down bets as to who would stand first, him or me. I did in both years of M. Sc. An interesting thing happened. Usually people think that if you are bright in one area you must be brilliant in everything. So these chess club guys wanted me to enter in the class chess competition. I told them I did not know how to play chess. They did not believe me at all saying that I just wanted to avoid playing to devote more time to my studies. I tried very hard to explain. Did not work. So, I entered the competition and learnt the basics from my dear friend, Avinash Julka. In the very first match, after about 10 moves, I got into a hopeless situation and then my opponent, R. K. Bansal noticed that my bishops and horsies were in very inconsistent positions! It turns out that I had made a mistake in the initial setup by putting the bishops next to the rooks and nobody noticed. I lost the competition miserably. My supporters and even R. K. Bansal insisted that I lost purposely so that I could devote more time to my studies. Bansal teaches in a Delhi college now. Years later I met him and told him again that I did not know how to play chess at all. I definitely made his day because he believed me this time! 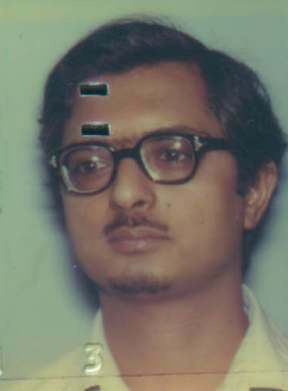 I did my Master's thesis in Nuclear Physics under P. N. Trehan and was all set for a career in the Panjab University as a Lecturer, Reader and Professor etc. when Raj Kumar Pathria (after post-docking abroad) joined our department as the youngest Professor in the university. I went to his lectures as an attendee and was completely floored. I had never been taught by anybody like him before! So clear, logical and full of enthusiasm for his subject! So, after M. Sc., I and two of my friends, R. K. Bansal (chess-wallah) and Vishwamitter Ahuja went to him and requested to be his students. He agreed. He was working on his famous Statistical Mechanics book then. My job was to learn Statistical Mechanics from the Huang (MIT-wallah) book (a standard until Pathria's book displaced it), to make suggestions for Pathria's manuscript and provide solutions for his proposed text-book. I was about a year into being a Research Fellow with him when he called all three of us into his office, shut the door and announced that he was going back and taking up a job in Canada. He offered to fix us with pepole in India or US. All three of agreed to apply for TAships in US. In the end the other two decided to stay in India for personal reasons and I ended up at the University of Pittsburgh. He generously acknowledged all three of us in his book, which became world-famous and displaced Huang's book even at MIT! This was the first time Raj Kumar Pathria changed my life. He would do it twice in the future. Landed at the Pittsburgh Airport on a Friday (after stopovers at London and Frankfurt, flying by Iraqi Airways, Sadaam had just taken over!) with $222. Took the bus to downtown and stayed at William Penn for $22 for one night. Next morning bought and ate some oranges and bought and drank some milk. I was and still am a vegetarian (no meat, no fish, no eggs). (That may sound surprising to people who know that I am a Panjabi and a Sikh to boot. Our family was influenced by Namdharis ( see here ), who are strict vegetarians.) Next day moved to YMCA for $6 a night and on Monday met the other 5 first year Indians who came to the Physics Department. 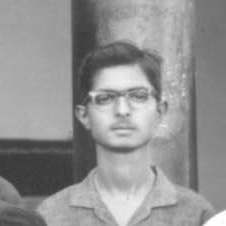 One of them, Shashikant Phatak (Institute of Physics, Orissa) became my room-mate and we stayed together until he graduated in 1974. Lots of foreign students and professors. In one Advanced Quantum Mechanics class, all the students were foreigners and the teacher was from Germany! Got straight As and passed the Comprehensive after the first year. I became fascinated with Condended Matter Physics, but none of the Professors had any openings. Fred Keffer asked if I could wait for one year for David Jasnow to join. I said yes and spent the year teaching, learning and watching lots of TV. Jasnow joined in Fall 1971 and he accepted me as a strudent. Had fun and wrote FORTRAN programs. I told him I wanted to do Analytic work and I did half of my thesis on the Spherical model. I also used numerical techniques to find asymptotic behavior of infinite series to study critical behavior, which was a young field then. Lots of joint seminars and courses with Carnegie-Mellon University. After Ph. D., Jasnow wanted me do a Post-Doc in Europe or US, but I wanted to return to India. I did and got a job at TIFR. Why did I return to India? I thought that at least some bright Indians should return and help change the system in India (remember it was the Sixties!). I spent 2 years in TIFR and was extremely happy. Then took up a job in a new central university called North-Eastern Hill University, Shillong and learnt in 3 years that India is a great country, only great people can live there and, finally, I am not as great as I thought!